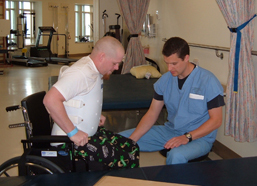 Presented on May 20, 2010 at the University of Washington Medical Center by the Northwest Regional SCI System, Department of Rehabilitation Medicine, University of Washington. "We live in an age of rapid technological advances and scientific discoveries. From cell transplants as replacement for lost tissue to robotic devices controlled by conscious thought, many developments promise enabling solutions for disabling injuries or disorders such as spinal cord injury (SCI). 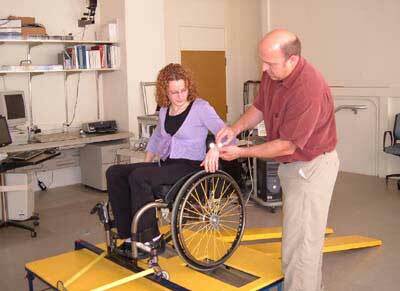 But what is the status of the science and its realistic translation to help individuals living with SCI? How do we separate fact from fiction, hope from hype, desire from desperation, and near-term from long-term? What is the documented evidence for the myriad of wonders found on the internet? What should you believe and how do you become empowered to make informed decisions about where to put your energies and faith?" 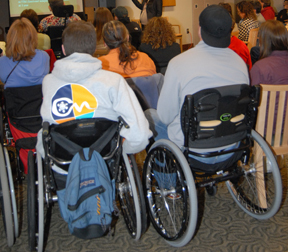 In this presentation, Dr. Steeves addresses these questions and provides an overview of the SCI research that has taken us from merely surviving spinal cord injuries—rare before World War II—to thriving with SCI and even the possibility of recovery. He brings over 30 years’ experience as a spinal cord researcher to explain and discuss recent experimental treatments for SCI. Presentation time: 83 minutes. After watching, please complete our two-minute survey! Click here to watch this video on YouTube, with or without closed captioning. For a complete list of our streaming videos, go to http://sci.washington.edu/info/forums/forum_videos.asp.